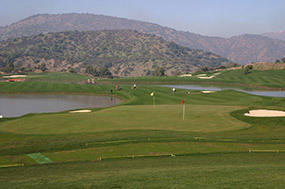 Less than 20 minutes from downtown Santiago, the Santa Martina golf course was designed by American architect Randy Thompson and was only partly complete when we viewed the course in 2005. What we saw was nine holes that occupy an elevated mountain valley with wonderful views of the Andes and down an attractive valley toward the city. The scenery is very pleasant, but the course lacked shaping sophistication and had problems with its maintenance budget. The design wasn't poor, but the resort style nature of the holes didn't quite fit the landscape and the use of mounding, the lack of believable definition and the awkwardness of water hazards that seem to only punish the poorer players wasn't ideal. A few holes also seem to fight the landscape. 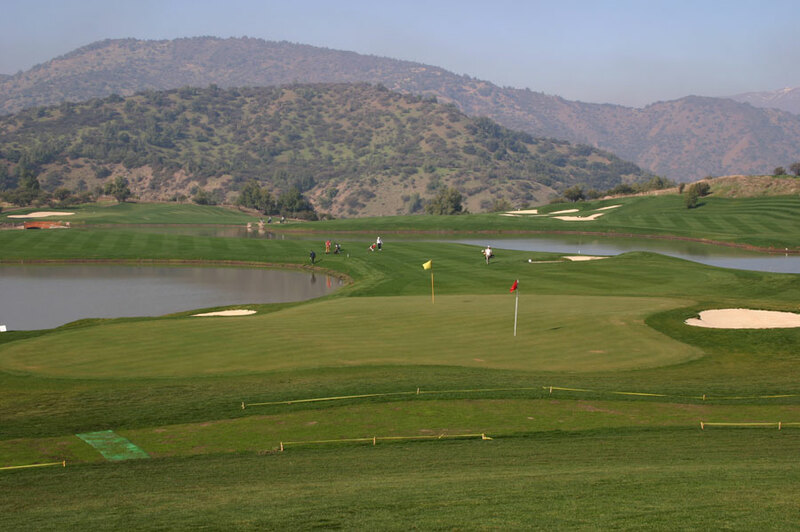 We look forward to returning to Santiago sometime soon to see how the rest of the holes here turned out, and to review the full 18 hole layout.